Function28 File Management System Tool! 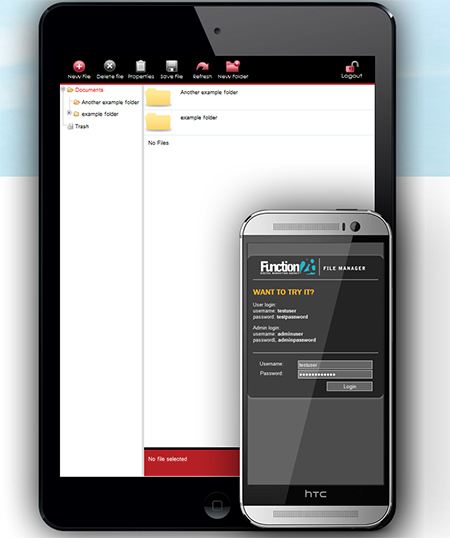 Function 28’s File manager allows global access to your files, the ability to set up multiple users with a variety of permissions. It is a perfect platform for sharing documents if you are on the go. It is also a really good way to share documents that everyone in the company needs to see. One off installation charge of £30 + VAT followed by a £10 + VAT monthly fee after the 1st month for up to 25GB of storage.